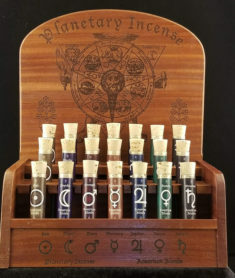 The filled display includes four, 5ml bottles of each essential oil blend, of which there are ten: Divination, Eye of Horus, Hekate, HermAphrodite, Manifestation, Pirowica, Phoenix, Sekhmet, Summoning Spirits & Witch Moon. The wholesale cost for each bottle is $8 each (5 ml Eurodropper) or $10 each (5 ml rollon), with suggested retail value of $16 or $20 per respectively. 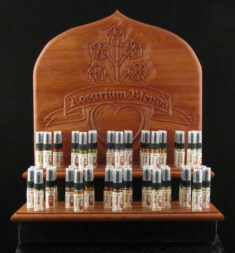 The filled display features a slot for a smaller 1 dram size bottle of each blend intended to be used for sampling (click the photo to enlarge it). 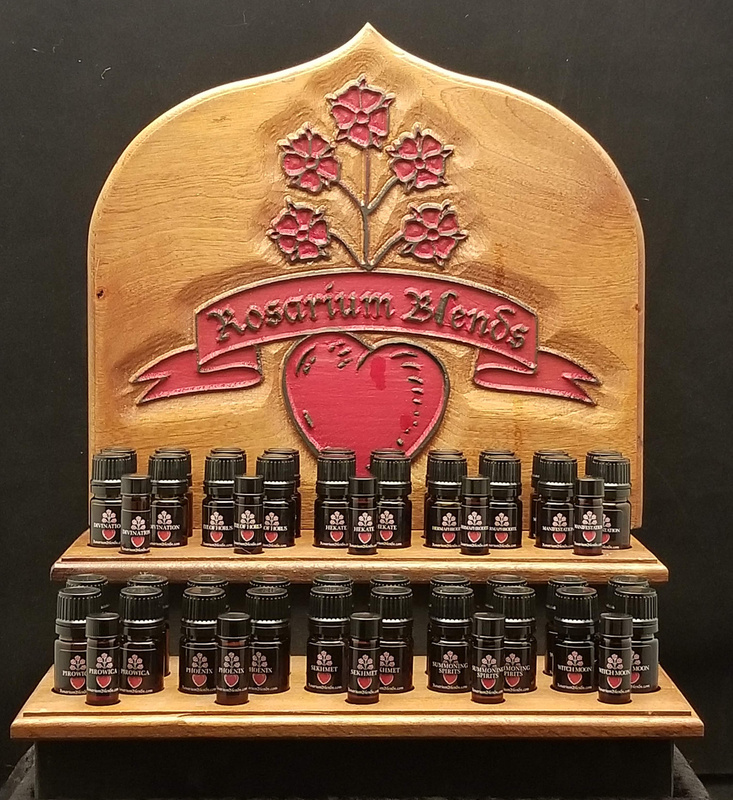 If you order the filled display, the sample bottle is included for each blend. 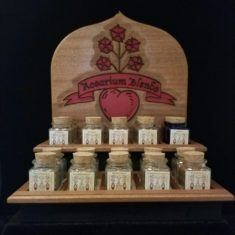 Be the first to review “Essential Oil Display” Click here to cancel reply.